Potful is an online food delivery company that’s all about bringing our favourite Indian eats to us. 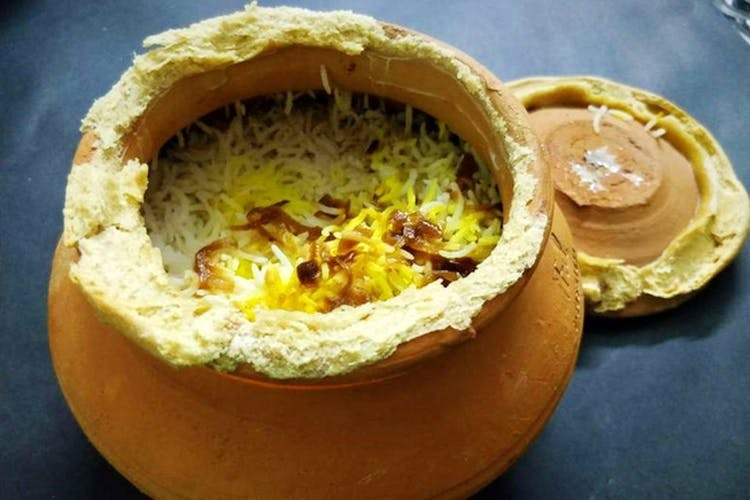 Their menu is full of drool-worthy classics, chief among them being their Claypot Biryani. With all your favourite biryanis on offer — we’re talking Hyderabadi, Lucknowi and Calcutta kinds — in vegetarian and non-vegetarian options, they are delivered home in the same claypot they’ve been cooked in to keep all of that flavour and spice intact. The biryani portions serve about two people, but if you’re throwing a party, you can go in for their larger servings that can feed about four. Apart from biryani, you can tuck into Nihari Gosht, Chicken Korma, Paneer Tikka and Kebab Platters and more. End on a sweet note with phirni, gulab jamun or sweet paan for dessert. They also have a bunch of combo meals that are value-for-money options. Starting at INR 15o, prices are pocket-friendly too. Potful delivers to Indiranagar, Domlur, Jeevan Bima Nagar, Old Airport Road, CV Raman Nagar and Koramangala as of now, but they’ll be adding more and more locations very soon. Biryani Lovers, Potful Is A Must Try For You Guys!